MICHAEL JORDAN HAS been added to the Forbes list of billionaires. He’s now the 513th-richest person in the United States with a net worth of an even $1.0 billion (though that equates to an uneven €893 million). The sky-rocketing values of NBA franchises is the main reason Jordan broke the $1 billion mark. He owns the Charlotte Hornets, which saw its value increase from $410 million last year to $725 million this year after the Los Angeles Clippers’ $2 billion sale to Steve Ballmer. 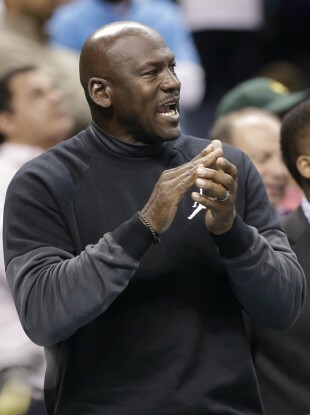 Jordan’s stake in the team is worth $500 million, according to Forbes. Jordan bought the team for $275 million in 2010. That is looking like a wise investment, especially considering the league’s massive new TV deal with ESPN and Turner. In the deal, which begins in 2016, the networks will pay the NBA an average of $2.66 billion per year. They paid about $930 million per year under the old deal. That works out to an extra $57 million in revenue per year for MJ’s Hornets. Jordan bought the team when franchise values were stagnating. They have since exploded. The rest of Jordan’s worth comes from his Nike deal, which earned him $90 (€80) million in 2013 alone. Email “Michael Jordan just keeps getting richer, he's now a billionaire!”. Feedback on “Michael Jordan just keeps getting richer, he's now a billionaire!”.